Did you know that Nova Scotia is the largest producer of balsam fir trees in the world? This means that if you choose to purchase a real Christmas tree in NS, it will never have traveled more than a couple hundred kilometres (often far less than this) to reach its final destination. If buying local and supporting the economy is important to you, it only makes sense to choose a real tree. What better way to support local producers at Christmas time than to source your festive focal point from someone in your neighbourhood? 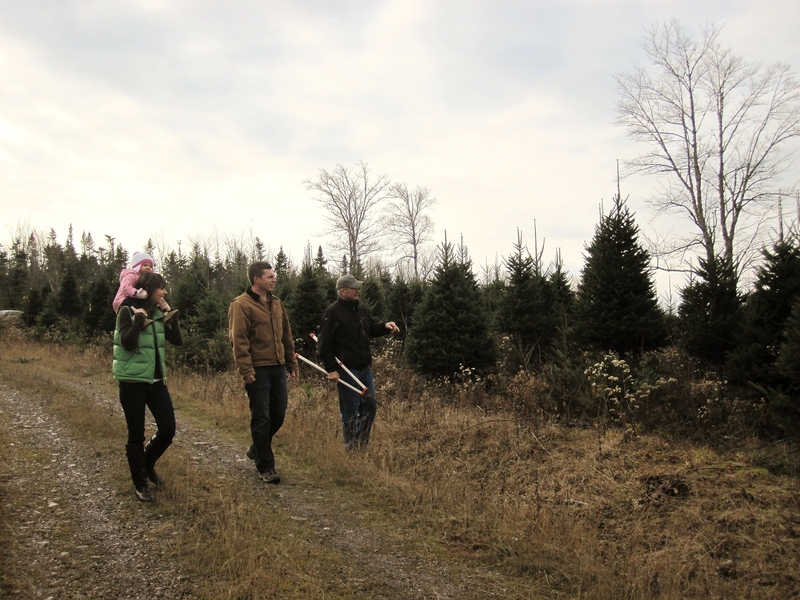 The Christmas tree and greenery industry is vital to the economy of rural Nova Scotia. In fact, over 1100 Nova Scotian families depend on the Christmas tree industry for all or part of their income. The industry provides full and part-time employment to over 4000 people in the province and contributes $52 million to the economy. If you’re interested in supporting your fellow Nova Scotians and seeing your dollars stay at home, choose a real Christmas tree this year. Balsam fir trees grow naturally by seed in our climate and are the predominant species of Christmas tree produced in Nova Scotia. The Nova Scotian Christmas tree industry is environmentally sustainable. The Christmas tree industry provides full and part-time jobs to about 4,000 people in Nova Scotia (the equivalent of 800 full-time jobs). More than 1,100 Nova Scotian families depend on the Christmas tree industry for all or part of their income. There are 39,000 acres of Christmas trees in production in Nova Scotia. Christmas trees have been exported from Nova Scotia since about 1922. Nova Scotia exports approximately 1 million trees every year. The value of the Christmas tree and greenery industry in Nova Scotia is approximately $52 million annually. For more great reasons to go real, click here.